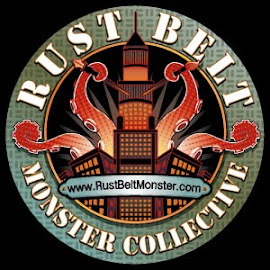 Rust Belt Monster Collective: 501st Post! FCBD Venom! Hey there Rust Belt-or-inos, here is a little painting I did for the 2014 Free Comic Book Day (FCBD) Art Show at Carol & John's Comic book shop in Cleveland! The show is up for the weekend of FCBD (May 3rd) only, so if you're in the area, stop by and check it, and the rest of the art and festivities, out. 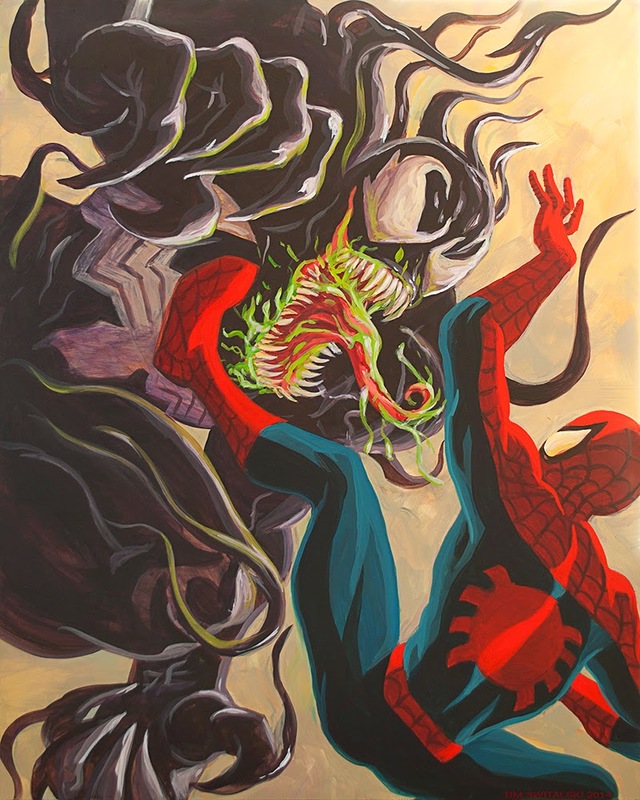 Good ol' Spidey (and Venom) up there was painted with Acrylic paint, on a 16x20 inch panel.